Hi, I'm seventeen years old and I suffer with really bad anger issues. Anything makes me the slightest bit angry, whether it's missing a bus or dropping schoolwork. For as long as I can remember I become irritable when someone makes noises like whistling or tapping on a table. It gets me so mad that I can't help but put my hands over my ears so I don't shout at them. Just today, I was trying to show someone something on my phone and they completely ignored me. This ended up with me throwing my phone across the room and walking out. I am now getting really paranoid / impatient with my friends, and I am now beginning to feel as though I have a serious problem that I need to address. 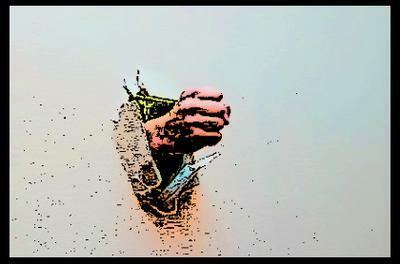 My anger is becoming intolerable, and now I'm beginning to punch walls just to release frustration. Is there any point in me going to my GP about it, or should I just try to ignore it? Thank you for reading. 1) You have good reasons for your anger, even though you don't know what they are. 2) Anger can also become addictive, and that's when it keeps getting worse, like you describe. 3) You're not crazy, even though you feel that way sometimes. Extreme anger can make you feel really crazy and out of control. I strongly encourage you to read about and practice all of the techniques you will find described in this article. These are tools, and the more you use them, the better they will work for you. But you have to use them, and keep using them until you're starting to get some results. The most important thing is that you don't ever give up on yourself. You are worth caring for, and it's up to you to do that. 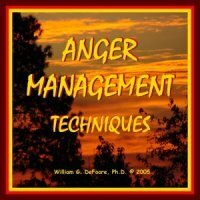 These tools and writing exercises will help you understand your anger, and that's where the healing will begin. Anger's not bad, but it can become very toxic, which is what has happened to you. And you can heal your anger. You're a good person, Sophie. Never forget that. You are not your anger...there's so much more to you than that. Believe in yourself, and practice these exercises, and you will start to see some results. This is not a quick fix...those don't exist. You took a while to get to where you are, so it will take a while for you to get on a better path.